Across Wisconsin, hospitals and nursing homes face a shortage of nursing staff. Hiring managers bemoan the lack of qualified employees to meet health care demands. Over the next decade – as the baby boomer generation ages and nurses near retirement – the demand for nurses will exceed supply. In the face of the looming crisis, more hospitals will hire highly qualified LPNs to supplement the deficiency in Registered Nurses. Currently, more than 85% of the LPN workforce use their professional training to care for patients in extended care facilities and nursing homes. Hospitals, at one time, took drastic measures to reduce the LPN staff but are now offering attractive incentives to reintegrate LPNs into the health care team. Wisconsin state agencies and the federal government are also responding to the nursing shortage. The 2002 Act paves the way for loan repayment programs and scholarships for nursing students. There are also incentives for those who wish to advance in the profession, and public service announcements to recruit more students into the state’s nursing education programs. The Wisconsin Department of Safety and Professional Services and the Wisconsin Board of Nursing manages the education and licensing of state LPNs. They also outline the scope of practice and continuing needs of these licensed professionals and monitors the state’s supply in relation to the current and future demands. The combination of classroom instruction, clinical skills, and commitment to patient care enable LPNs to make a vital contribution a health care teams. Licensed practical nurses are a cost-effective and valuable members of the nursing team when they operate within their full scope of practice. The Practical Nursing program at Wisconsin’s 18 Board-approved schools offer a feature-packed and challenging curriculum that prepare students to provide direct care services in long-term care facilities, home health agencies, doctors’ offices, and other healthcare sites. Faculty use demonstrations, lectures, discussions, laboratory practice, and supervised clinical experience to achieve the program objective. The course curriculum includes nursing fundamentals, general anatomy and physiology, nursing pharmacology, nursing skills, developmental psychology, health promotion, clinical care across lifespan, and health alterations. Applicants must attend a mandatory orientation, submit immunization records, pass a caregiver background check, submit current CPR card, and complete a CNA training program (required by some schools). Nursing schools must comply with Wisconsin’s Caregiver Law, which requires all health care students to complete a caregiver background check, including a review of criminal records for convictions of serious crimes. Applicants with a criminal history may not be eligible for entry into nursing education programs. The clinical experience is a mandatory component of practical nursing programs. Students must purchase uniforms and pay their own transport to the clinical sites. Program graduates are eligible to take the NCLEX-PN for licensure as an LPN. They also earn credits that may be applied to advanced nursing degree programs. Duration and Cost of Training: Practical nursing programs may be as short as 10 months or long as 16 months based on the student’s schedule. Many schools offer full-time or part-time options with multiple schedules to accommodate busy adults. However, the intensive coursework and rigid clinical schedules require a full-time commitment from students who want to succeed on the NCLEX. Training costs an average of $24,500 for tuition. Other expenses students must budget for include textbooks, uniform, transportation to the clinical sites, medical tools, administrative fees, lab fees, state licensure, and the NCLEX. Funding may be available through federal loans, private loans, grants, scholarships, and employer sponsorships. 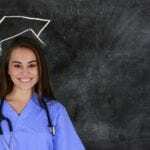 The NCLEX is the final step to achieving your goal to become a Licensed Practical Nurse. It is critical that you review the Candidate Bulletin in full as it contains details on how to register for the exam, schedule the exam, your responsibilities on exam day, and some insight into the exam. Visit the NCLEX candidate website and fill out the online application before paying the fee with your credit card. Visit the NCLEX candidate website to register for the test. Follow the instructions and print a payment voucher at the conclusion of the process. Enclose the payment voucher with a check or money order and mail to Pearson Vue. Call NCLEX candidate services at -866-496-2539 to register over the phone and pay with a credit card. The Board of Nursing will review and approve your application to test based on the information you submit during your licensure application. Once approved, Pearson Vue will deliver the Authorization to Test letter so you can schedule a convenient test date and location within 90 days. The computerized evaluation is available by appointment only. The Board will mail your license if you pass the exam and meet all other requirements for licensure. If you fail the exam, you will need to submit another registration to test and pay another application fee. The Wisconsin Department of Safety and Professional Services oversees the licensing of nurses in the state. Individuals with no previous license in Wisconsin or another state may apply for licensure by examination. Examination candidates must be high school graduates or receive equivalent training with no arrest or conviction record. To maintain quality and safe health care, candidates must also be graduates of a WI-Board-approved nurse education program specifically designed for practical nurses. The WDSPS may issue a temporary permit, at its discretion, to candidates who are waiting to take the NCLEX. The individual must complete all the other requirements and pay the $10 fee to receive the temporary permit. The permit holder may practice under the guidance of a registered nurse or physician for a period of three months. The permit is automatically terminated if the individual fails the exam. A temporary permit is eligible for another three-month renewal for cases of hardship. An application for the NCLEX must be submitted to the testing provider (Pearson Vue) at the same time the application for licensure is submitted to the WDSPS. Submit both applications 6 to 8 weeks prior to graduation for efficient processing of the information. 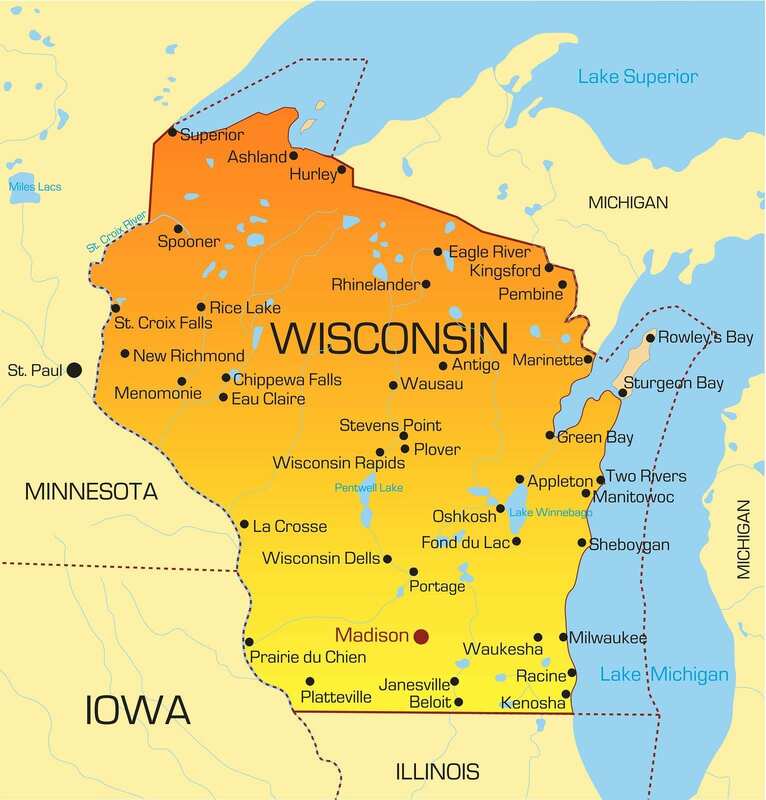 Nurses with permanent residency in a Nursing Licensure Compact (NLC) state are eligible to work in Wisconsin (an NLC) without applying for another license. There are currently 24 states in the NLC, and LPNs with permanent residence in one of these states can work across state borders with the multistate nursing license. LPNs with current licenses from non-NLC states must apply for licensure by endorsement to practice in Wisconsin. Submit your application to Pearson Vue for the NCLEX and pay the applicable fee. The BON will determine your eligibility for the exam after reviewing your completed application form and documents. You may be eligible to take the NCLEX before graduating if the school submits the WI Act 114 Certificate of Approval to take the Examination. Complete the application for licensure by examination. Indicate the type of degree earned or program completed. Complete the Statement of Graduation or Completion and forward to the administrator or your nursing education program. The school must complete the form and forward directly to the Board. Applicant-submitted forms will be rejected. Do not submit the form until you’ve graduated from the program – anticipated graduation dates will not be accepted. If you completed your training at a school not approved by the Board, you must request official transcripts that must be sent directly from the school to the Board. Graduates of foreign programs must request a Credential Evaluation Services (CES) Report sent directly from the Commission of Foreign Nursing Schools to the Board of Nursing. If you need a temporary permit, you must complete the initial exam portion of Form #2434 and return to the Board with an additional fee for the temporary permit ($10). Complete the Conviction and Pending Charges Form #2252 (if applicable) and submit copies of court documents and an explanatory note for each conviction. Wisconsin participates in the Nurse Licensure Compact. Applicants with licenses from an NLC state must file a completed application with the applicable fee. Complete the application for endorsement (#772) form indicating the type of degree earned and graduation date. If your state of original licensure uses Nursys, follow the instructions on the Nursys website for online verification of your license. If the state does not participate in the Nursys program, you must complete Form #741. Contact your board to determine if there’s a fee for the verification, send the form to the licensing agency, and request that the agency returns the completed verification directly to the Board of Nursing. You may request a temporary permit, which the Board will provide upon receipt of your completed application. The temporary permit is valid for three months. Include an additional $10 fee for the temporary permit. Complete the Convictions and Pending Charges form (if applicable) and enclose court documents and an explanatory note for each conviction. Mail the completed form, fee, and documents to the address provided below. Licenses for LPNs expire April 30 on odd-numbered years. Licensees may renew online or request a paper renewal form by calling 666-506-4239. The Wisconsin Act 210 extends the license of a service member on active duty by 180 days from the date of discharge. The spouse also qualifies for the extension if he/she does not practice under the license while the service member is on active duty. Log in to the Board’s website to renew online. Pay the renewal fee of $86 or $111 for late renewals. Complete the Nursing Workforce Survey – required to renew. License holders may complete a shortened version of the survey, which begins 7 to 8 weeks before the renewal deadline. Nationally, as well as in Wisconsin, the demand for nurses will continue to increase as baby boomers age and the need for health care continue to grow. With an estimated 12,000 licensed practical nurses employed in 2012, almost 88.2 percent provide direct patient care in nursing homes and extended care units. The state of Wisconsin continues to show concern for the supply of nurses as their services are in high demand by health care providers. Biennial surveys of LPNs and RNs help the Board determine barriers to entry and monitor the supply of professionals to serve the burgeoning population. Hospitals are strong employers, but LPNs mostly find work in extended care facilities and nursing homes caring for elderly or disabled patients. The median hourly wage for LPNs in Wisconsin is $19.75, which translates to $41,080 annually. Hello. I am currently attending MATC Madison. I’m trying to apply to their Nursing Program but I need Chemistry in order to petition. With your LPN program do I need that chemistry in or ed to join the program… and what about the CNA is their funding for those classes… because the financial aid doesn’t cover it. We do not facilitate LPN/CNA training, but, instead, provide information on LPN schools and procedures for obtaining a license in each state, including Wisconsin. The requirements for enrollment are solely up to the college/university/vocational school, and will include high school chemistry (at minimum) and/or biology and CNA training. Herzing University, the only other board-approved program in Madison, also requires chemistry as a prerequisite to enrollment. Due to the short-term nature of CNA training, financial aid is almost impossible. Is your search for LPN schools limited to the Madison area? We are one of the nation’s top hospitals and we are bringing lpns back! Aren’t they shutting down the LPN’S programs? They are replacing LPN’S with CMA (certified Medical Assistant) instead. CMA’s do more than LPN’S do. Yes, it’s been 30years for me as well. Its about time they bring this program back, LPN’s are so needed!! About time LPN’s NEVER got the respect for what they knew and could do !!! NOW YOU WANT TO BRING THEM (US) back ASK YOUR SELF WHY!!! DO NOT ASK ME I MAY JUST TELL YOU THE TRUTH WHY!!!!!! Licensed practical nurses are the greatest. Will this program be available in Green Bay Wi? If so where do I go to get started? Do they have LPN to RN program? I’m sorry to hear that. Can I ask what school you went to? Some nice programs. My cousin became a LPN in Green Bay last year in RN school now. Go for it. I am confused. They have ALWAYS had the program. It never was gone. They have always talked about getting rid of LPNS however that will never happen. Maybe in certain facilities but everywhere…… no way. Nursing homes now want RNs to meet the complex needs of the residents. How would I challenge the LPN exam in Wisconsin if I am a Navy Corpsman? The Wisconsin Department of Safety and Professional Services has very strict requirements for licensing health professionals. One of their guidelines is that a candidate for the NCLEX-PN must have completed 2 years of high school or its equivalent and graduated from an accredited school for licensed practical nurses – one that is approved by the WI Board of Nursing. Now, you didn’t provide much details on your current educational background, so we’ll just assume that you did not complete a nursing program and want to challenge the exam based on your corpsman training and experience. Unfortunately, Wisconsin does not make provisions for Corpsmen seeking to challenge the exam. As far as we know, California offers this option and Florida (with some stipulations) and maybe Virginia. If, however, you do have some nursing education in your background, the Board may grant authorization after you complete a nursing refresher course. Hope this helps. Of course, you should contact the WI Board of Nursing [(608) 266-0145] to find out your options. Can a person who was an Army Medic and a licensed Paramedic challenge the LPN boards? You’re eligible to take the examination for licensed practical nurses only if you’ve graduated from a board-approved school of practical nursing. The Board will require the nursing school to submit a Statement of Graduation or Completion before authorizing your request to take the nursing board exam. Therefore, you won’t be eligible to challenge the test based on your Army Medic or Paramedic experience. What you can do is contact the LPN schools in your area and ask about bridge programs or advanced placement based on your experience/education/training.